Plastic Free July has been fun, informative, overwhelming, frustrating and full of conversation. Having so many Aro Valley and wider Wellington residents who have taken on the challenge come together, has inspired greater awareness and positive change. Thanks you to everyone who has supported us and helped to provide workshops and resources. Thanks to all the Aro Valley businesses that support and provide plastic free alternatives, keep up the great work. Thanks to Wellington City Council for allowing us to run free workshops and support the initiative. A big THANK YOU to everyone who took part in the challenge, attended workshops, asked questions, made change, tried something new and changed behaviours. Small changes together can have a big impact. We will continue to support making changes that minimise waste. Joining the challenge is simple...choose to refuse single-use plastic during July. 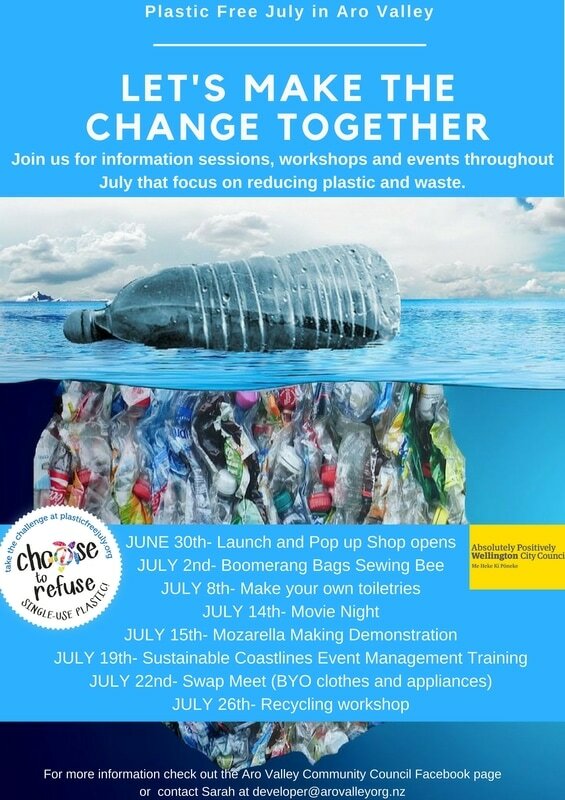 Plastic Free July aims to raise awareness of the problems with single-use plastic and challenges people to do something about it. You will be joining a million+ people world-wide from 130 countries in making a difference. Creating behaviour changes is key to moving away from our reliance on plastic. It doesn't happen over night, but overtime incorporating plastic free alternatives will make a big impact to your health and the environment. The Aro Valley Community Centre is supporting the community in their plastic free journey, by providing information, products, events and workshops. We will cover the many ways you can reduce plastic and waste in daily life. 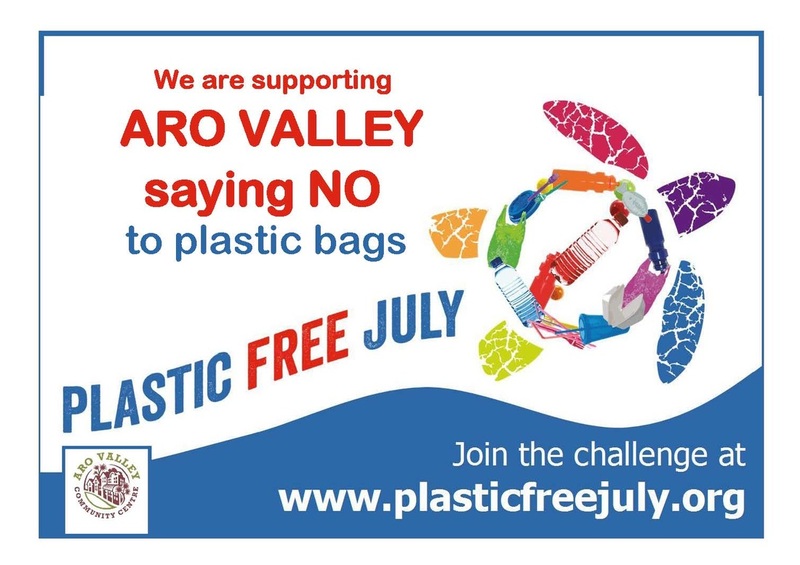 For more information about Plastic Free July, ideas and tips visit www.plasticfreejuly.org and follow the Aro Valley Community Council’s journey on Facebook. If you would like to get involved – get in touch!